Yes and yes. When possible, you should enter the start and end dates that are on your bill. However, you can enter any time frame, and it doesn’t have to be monthly. It could be quarterly, bi-annually, or even just a single annual entry, as long as you cover the full 12 months. You can even get ENERGY STAR certification with just one annual meter entry. Weather normalized metrics need monthly data. If you don’t have monthly data, you may get an “N/A.” You need meter bills at least every 65 days to get weather normalized data, but even that isn't always a guarantee. If you are entering annual data (which is a good option if you only have estimated energy), your metrics for any "Year Ending" dates that do not coincide with this year will not be as accurate. In this case, Portfolio Manager will prorate the usage evenly among the 12 months. For example, say your total kWh for 2012 was 5000 due to a very cold winter, and your total kWh for 2013 was 4000. If you are looking at the metrics for the year ending June 2013 (July 2012 – June 2013), they will be slightly inflated because the 2nd half of 2012 is still carrying the increase from the first half of 2012 which had higher winter bills, even though that winter isn’t in the year you are looking at. If you are entering estimated data – remember to check the “estimated” box along with your entry. 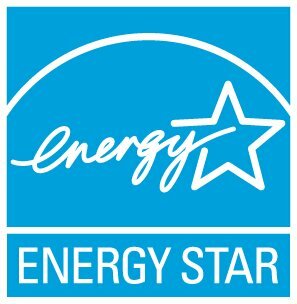 Estimates are not allowed when you apply for ENERGY STAR certification. Do I need 100% tenant meter data for ENERGY STAR certification? What intervals of time can meter data be entered?